A graduate in Textile Design, Caroline taught until the 1980s when she took up painting full-time. 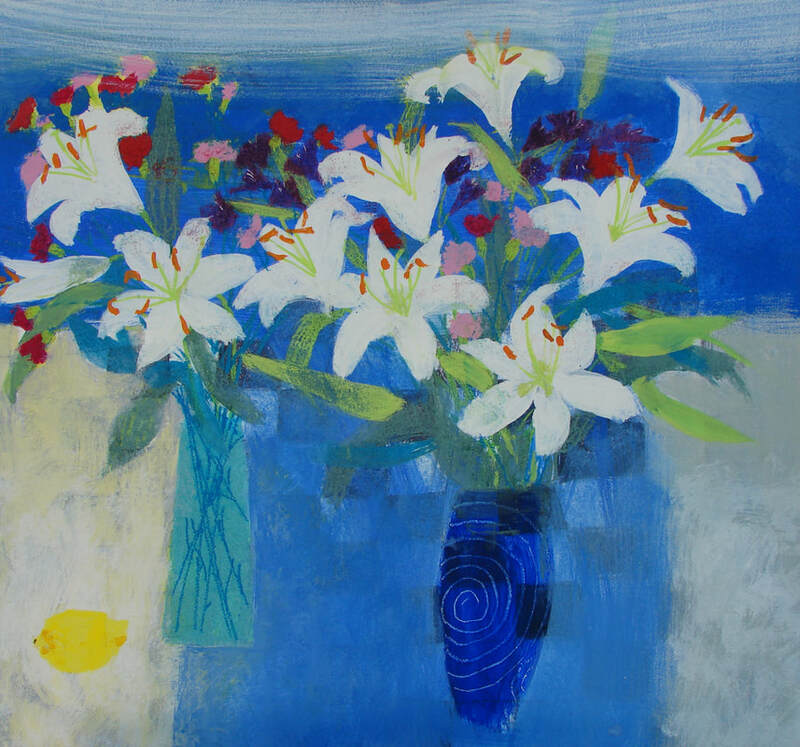 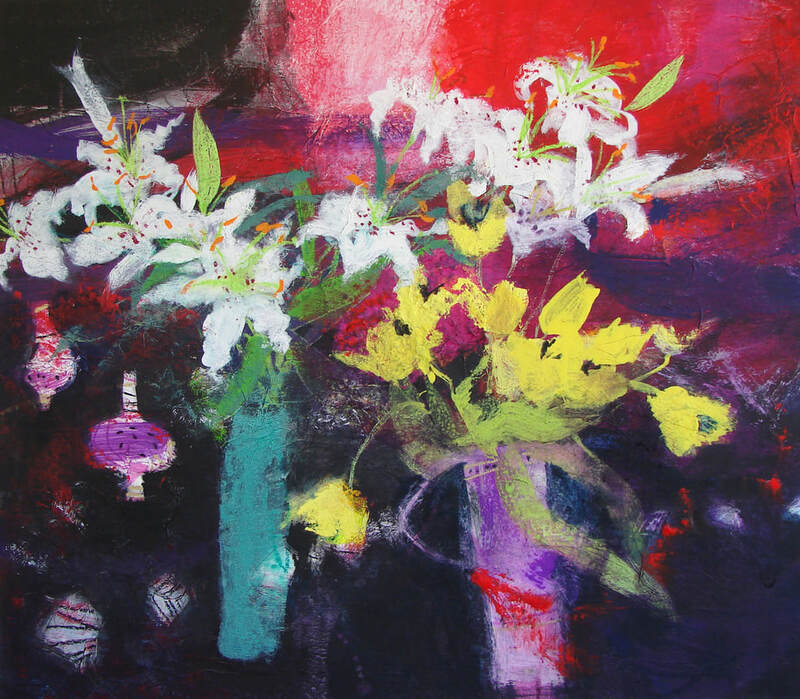 An award-winning artist, her work is exhibited throughout the UK and is inspired by her experiences of the land, the sea and still life. 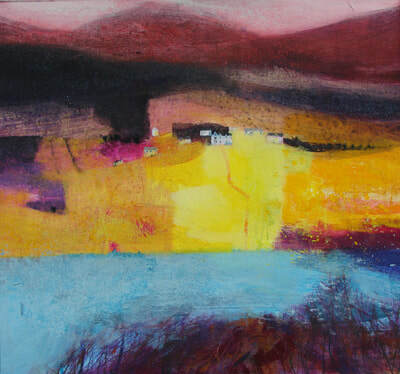 Concerned with shape, colour and layering of textures, once begun each painting determines its own direction and conclusion. Across the loch (76 x 81 cm + frame) Mixed Media. 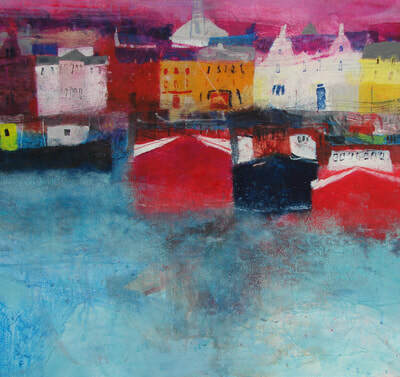 Stornaway fishing boats (76 x 81 cm + frame).